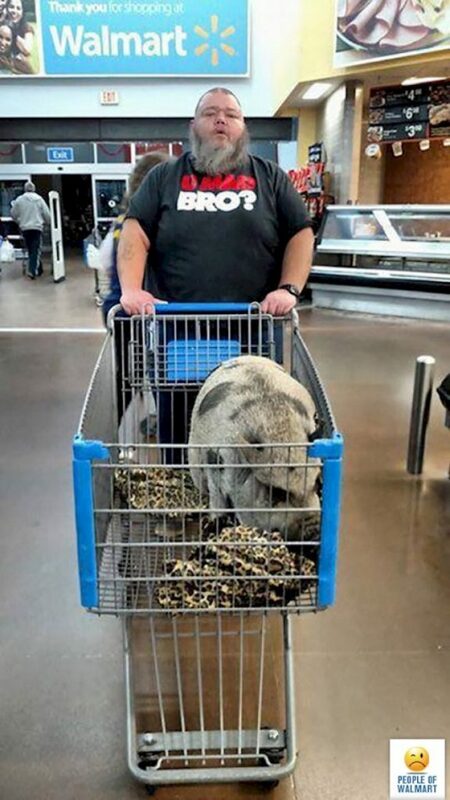 If you want to have a totally normal grocery shopping experience, don’t go to Walmart. 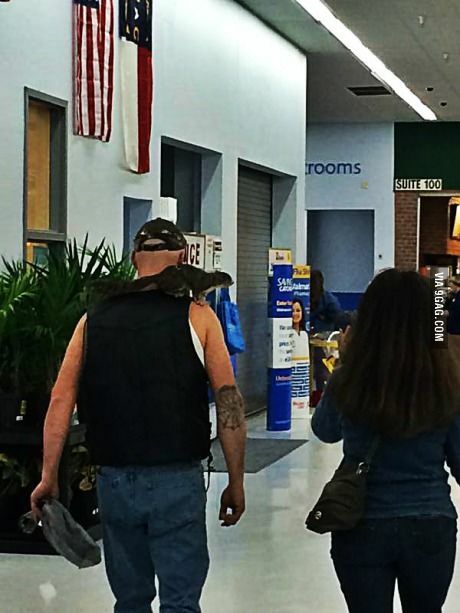 Walmart brings people from all walks of life together. But some of them don’t have any boundaries. 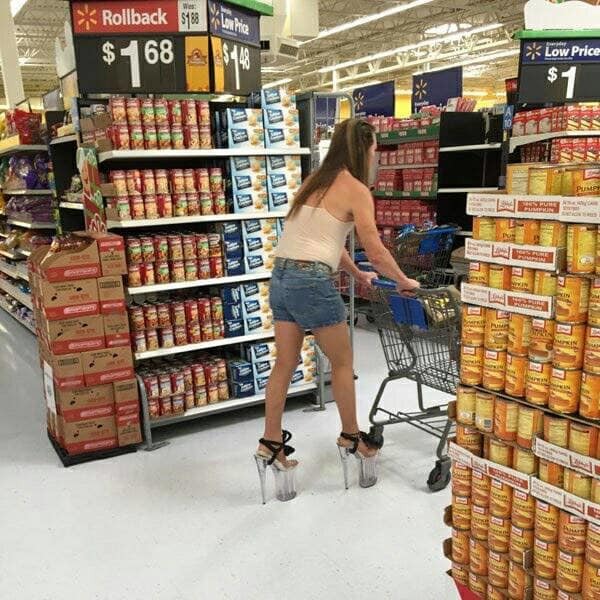 From out-there outfits to inappropriate activities, here are 15 shocking things that you’ll only see at Walmart. But hey, everybody needs to do their grocery shopping, right? Grocery shopping can be boring, and this way no one’s going to get lost. 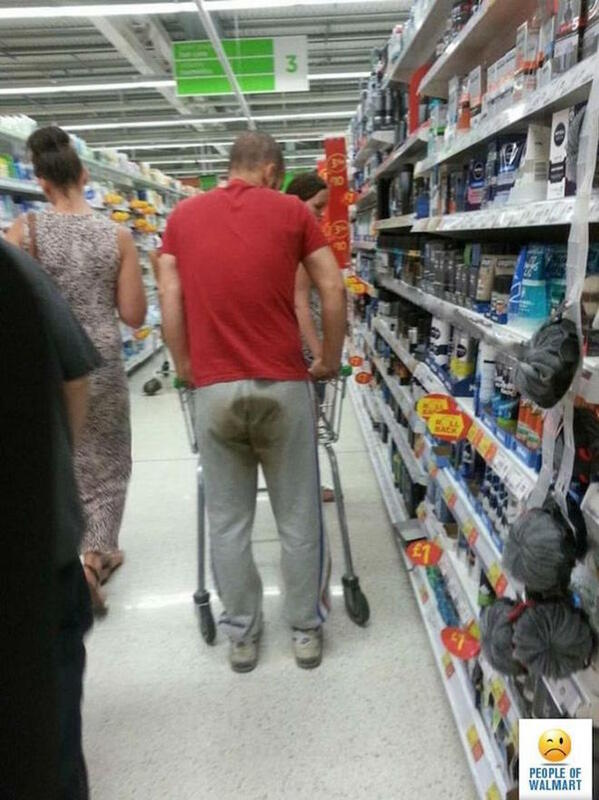 I mean how many times have you gradually started panicking as you’ve desperately gone up and down the aisles trying to find your shopping partner? 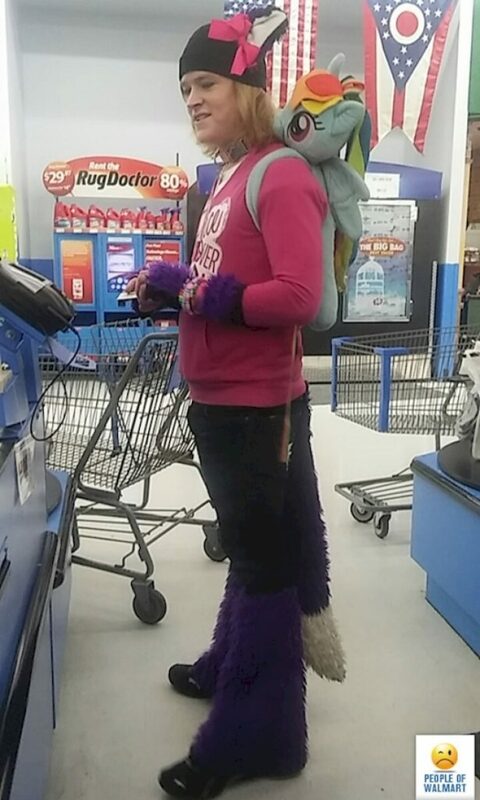 Have him dress as a life sized “My Little Pony” and problem solved. Yes, this actually worked. What’s next? Returning spaghetti because it’s too hard? Taking back that frozen chicken because it’s still raw? Your imagination is the limit. But hey, why not? 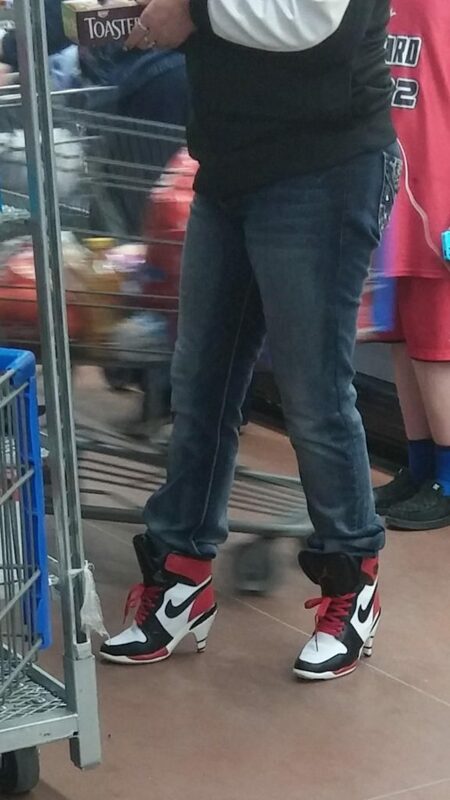 Sometimes a trip to Walmart is the only time we get out of the house all day, so you might as well dress up and look your best. 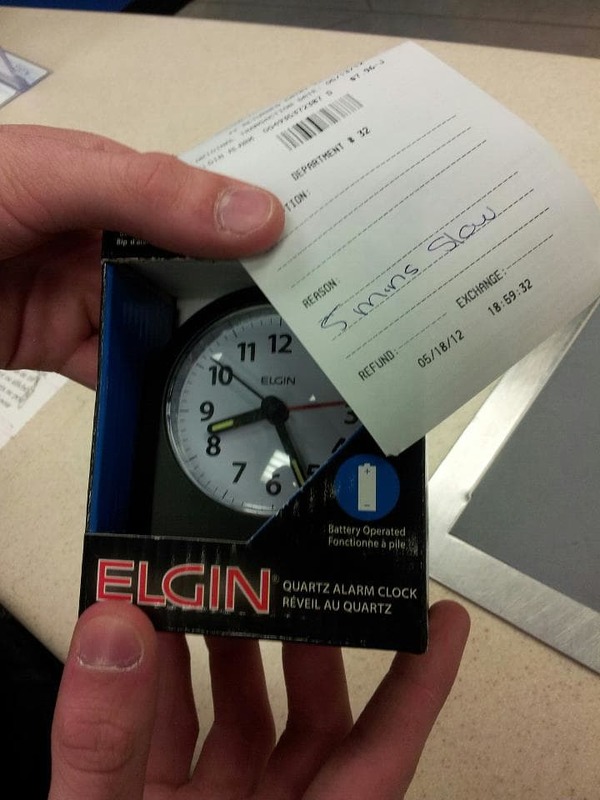 Oh, the things people do when they’re bored waiting for their mom to finish grocery shopping. I suppose he’s basically famous now. Maybe on his next trip, the staff will be asking for his autograph? Maybe not. Leave no man behind, right? Or no pig it seems. It’s fair enough to not want to leave your loved ones behind, but this guy really isn’t thinking about the next person who’s going to be using this trolley. It’s going to be a real pig sty. 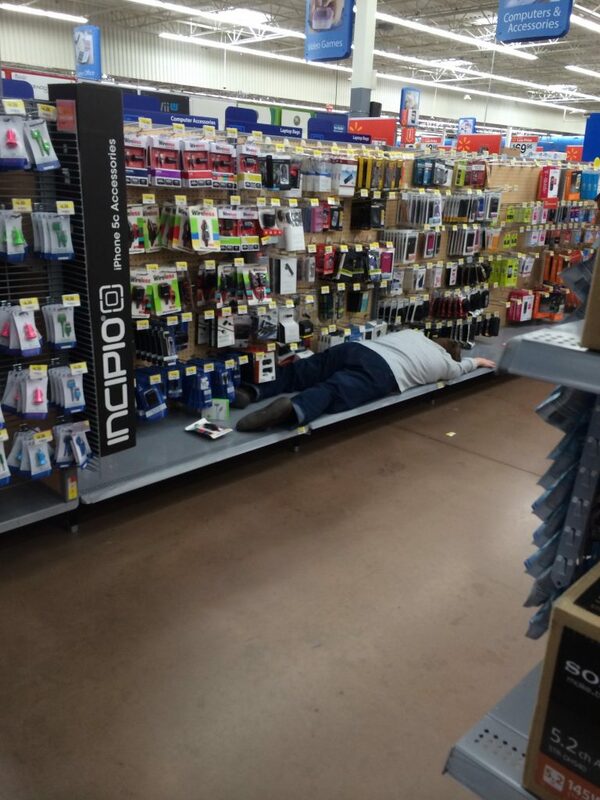 If there’s one thing other shoppers can be thankful for, it that this gator’s only small. 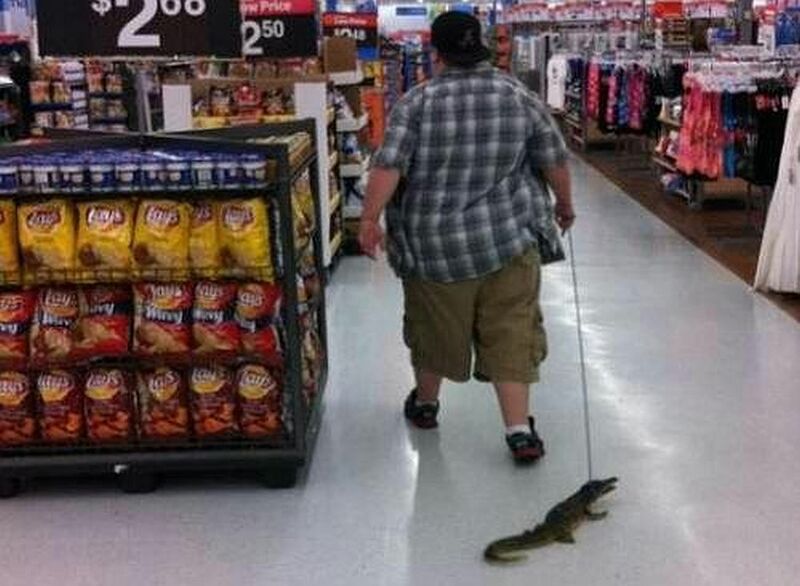 Let’s hope his owner quits bringing him on Walmart trips once he gets full size, or they’ll be the food instead. It looks like this squirrel just can’t believe his luck. He’s literally getting ready to jump off his owner’s shoulders, grab some tasty nuts, and scamper up into the rafters where no one can get him. His owner really didn’t think this through. And get so excited that they forget to put on any pants. I suppose it’s understandable. When you’re desperate to stock up on your favorite snack, you shouldn’t let a little thing like clothes get in your way. 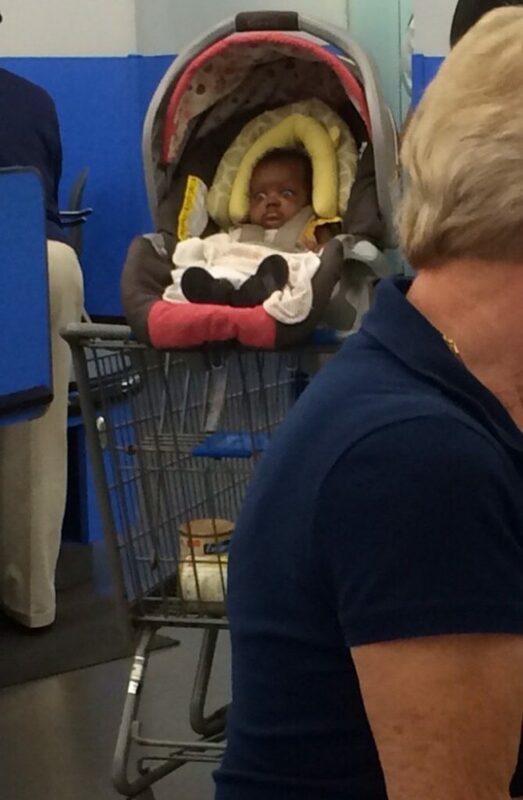 Has that baby just seen a huge stack of their favorite food at 50% off? Or have they seen an old guy wearing camouflage-style fairy wings? 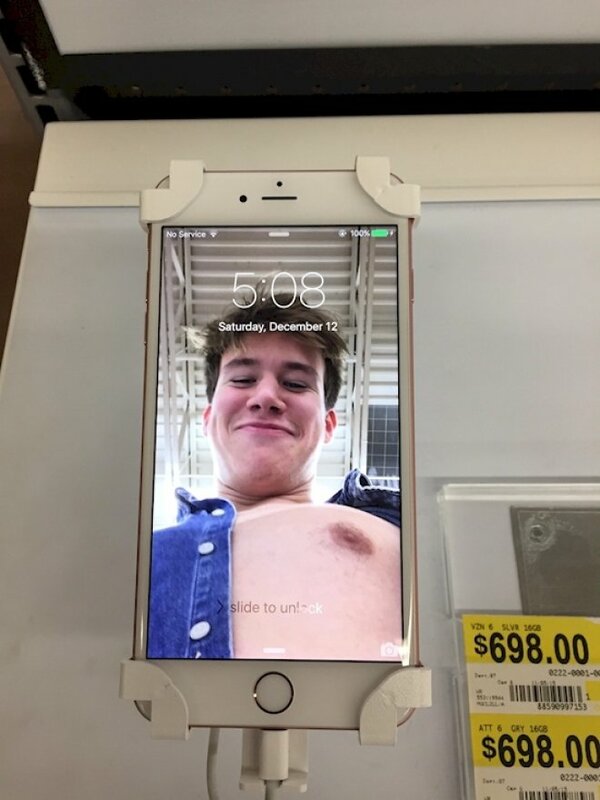 Who knows, this is Walmart after all. Forget Beyonce, Ed Sheeran or Kayne, Walmart’s music bargain bins are full of the best of music history. 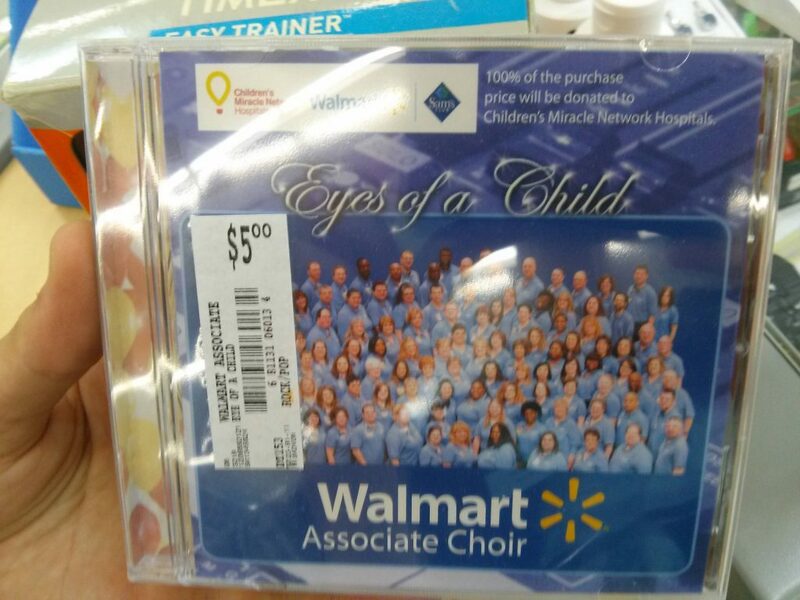 Let’s just hope you’ve still got that old CD player, you don’t want to miss out on this classic made by Walmart themselves. Heels or sneakers? It’s a tough decision, but this guy is lucky that he can wear both. If only every grocery shopping-related decision was so easy to solve. 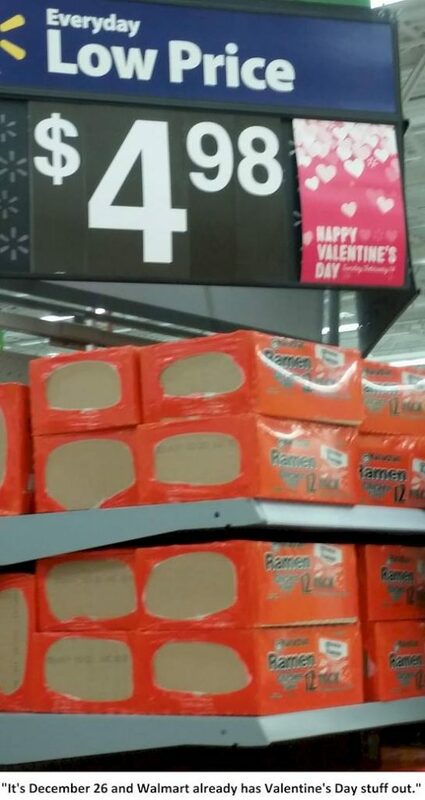 Thanks to Walmart, you can now afford to have romantic dinners with all of your Valentine’s Day dates. You’ll have to be strict with the timing if you want to fit them all into one night though. But that’s why ramen is the perfect choice, they’re ready in seconds. Why just settle for a grocery store, when it can be a hotel as well? Because sometimes walking up and down those aisles, trying to find what’s on your shopping list just gets too tiresome. What more could you want on your morning cereal than fresh milk straight from a cow? 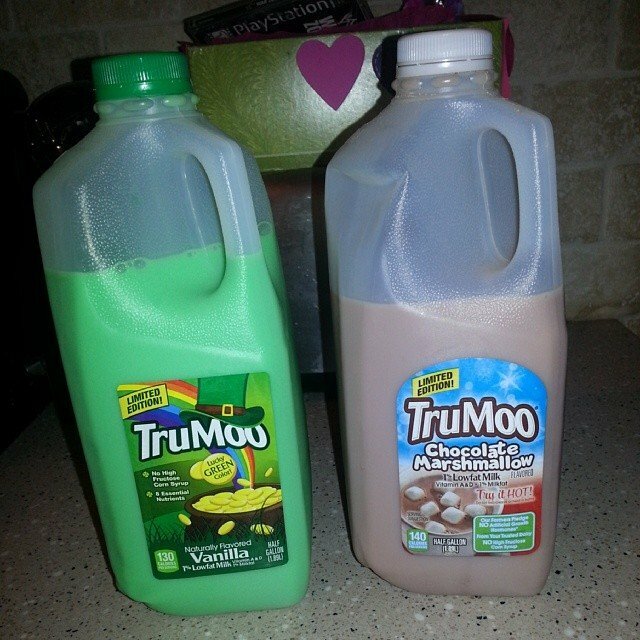 The milk’s only green because the cow’s been eating so much grass. Honest.